Degenerative aortic stenosis has a high prevalence in elderly populations. Transcatheter aortic valve replacement (TAVR) has developed into a viable treatment alternative in patient at high risk for conventional surgery. 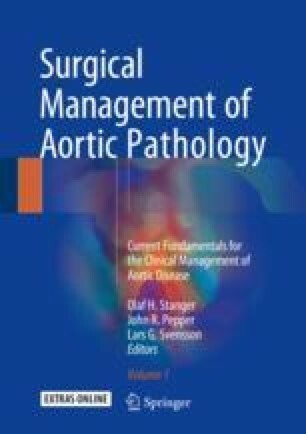 Pre-procedural CT provides information about the “deployment zone” (aortic annulus/root), allows to predict appropriate fluoroscopic projections oriented orthogonal to the aortic valve plane, and is used to assess suitability of the peripheral access vessels. Computed tomography (CT) is attractive as a tool for planning and guiding transcatheter procedures, because it is widely available with standardized acquisition of 3-D volumetric data. Subsequent analysis allows reconstruction along standard imaging planes but also additional oblique views. Using modern information technology (IT) architecture, the image data, together with that of other imaging modalities, including echocardiography and cardiac catheterization, can be accessed not only in the “reading room” but also in the office of the surgeon/interventionalist, or in the operating room. This “point-of-care” data availability and sharing have become feasible with client-server technology and are an important aspect of a modern imaging program.